On Launched day Recharge Option, They Given Full 100% Cashback up to Rs. 50 on any Operator First Recharge for All new & Old Users. You will also get 25% Cashback on Your next Recharge up to Rs. 30 but Rs. 30 Maximum for Per Recharge. To avail this Amazon Pay Deal, Just you have to Load your Amazon Wallet using any payment Method & Make Your Recharge Payment from this Credits to avail again Free Cashback. 1 How to Avail Amazon Recharge Offer April 2019 ? 2.1 How to Make recharge ? 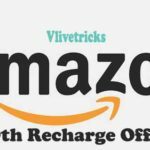 How to Avail Amazon Recharge Offer April 2019 ? Amazon Recharge Option is Available on both site and App, but Below Offers is working only on Pay balance payments so guys first Load your Amazon wallet & Follow below Steps to Grab Free Rs. 105 Recharge. If you Wants to Use your Amazon Wallet Balance on Flight , Cab booking , Postpaid , bills Then Check our Pay Balance Trick Page. During 1st Apr 2019 to 30th April 2019 , You can avail 100% Cashback upto Rs.25 on Rs.0. You can Use this Offer 1 time Upto Rs.25 Cashback. Offer valid only on first Recharge , Rs.398 Minimum Recharge amount Needed to avail this offer. Valid From 1/1/19 to Amazon Free Recharge Last Date 31/1/19. During this Offer Period You will get Flat Rs.50 Cashback on Rs 398 Recharge. First of all , Open app or Visit Amazon recharge Page. Now Enter your Mobile Details & Amount. You can Also Browse Current Working Plans. Now click on Pay button. Now Make Payment by Amazon Pay Balance. Done ! You will get flat Cashback up to Rs. 50 in your wallet within 3 Days. 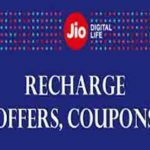 Amazon Again Offering Flat Rs 50 Cashback on Jio & Idea Recharges , Just you have to Make first Prepaid Recharge of Jio Above Rs. 399 or More. This Amazon Pay Balance Offer is Valid till 31/1/19. Pay Via Amazon Pay balance Credits. After avail above Offer you will get 25% Cashback on your all other next recharges up to Rs. 30 During Offer Period. You can avail up to Rs. 30 on Per Recharge. Just Follow Same steps like Above. This 25% Cashback Deal will be valid till 31/1/19 from 1st Jan 2019. Valid for All Amazon New & old Users. Valid for All operators except Airtel network. Valid only Prepaid Recharges Not valid on other services. You will get Cashback only on when you pay via Balance credits. Cashback will be credited in the form Pay balance Credits within Maximum 10 working days. If you have any Query Regarding Recharge , Simply Call or email on Amazon Customer Care. How to Make recharge ? Now Make Payment by any Payment Method or Offer Mentioned. Done ! 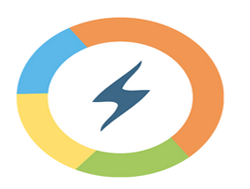 Your Recharge Will be instantly Processed & Cashback Will be Added Within Some Days. Discussion on "Amazon Recharge Offer :Collect 100% Cashback upto ₹25 Promo Code"